Introducing this stunning square shaped wall clock. 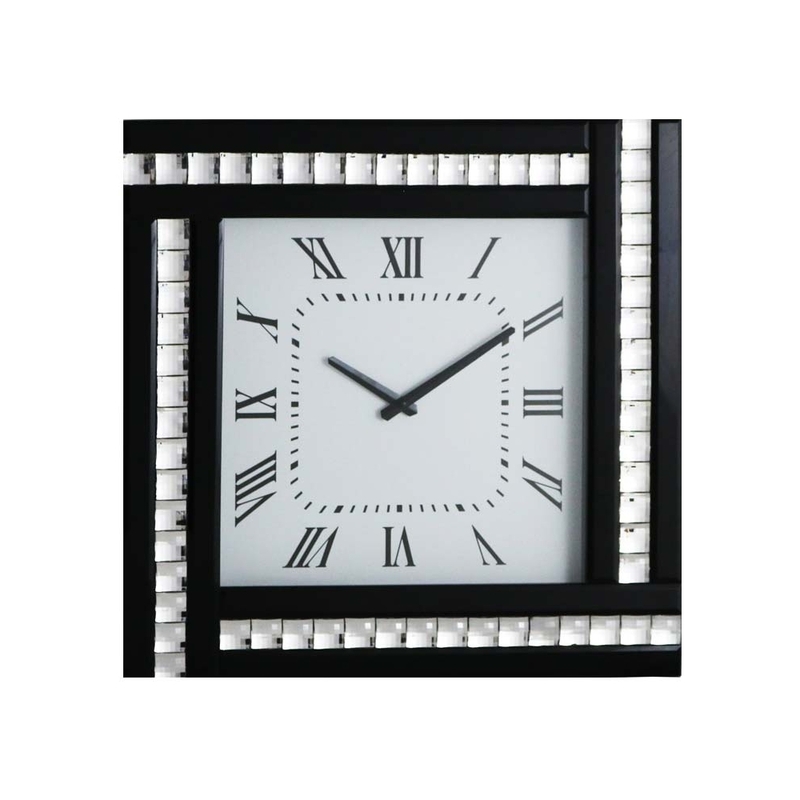 This clock is glamorous and elegant, its neutral black colours gives of simplicity while the four roles of crystals give of sparkle and glitz. This piece would fit in amazing in a living room or even a glamorous bedroom. Add this to your home let it give off elegance class and beauty.